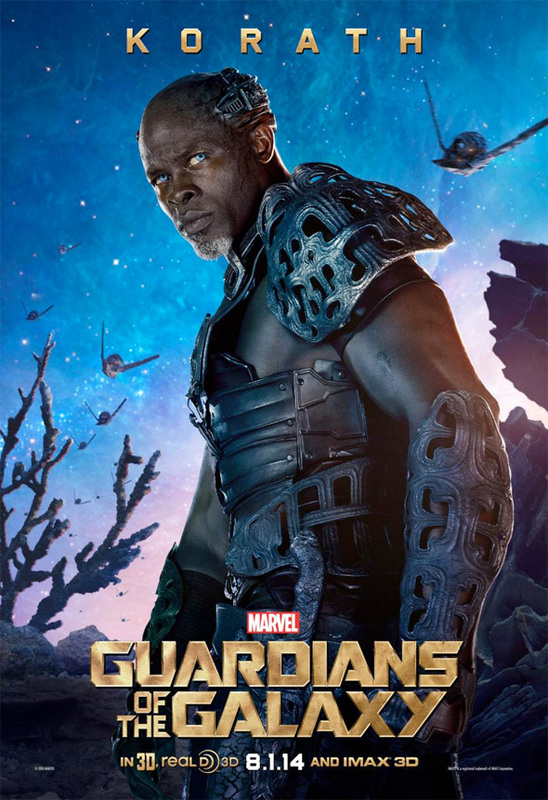 Just yesterday, Michael Rooker got his own Guardians of the Galaxy character poster as the blue-skinned character Yondu. Shortly after, John C. Reilly and Glenn Close saw their characters from Nova Corps get the same treatment. And today, it's a trio of bad guys who each get their own character poster. 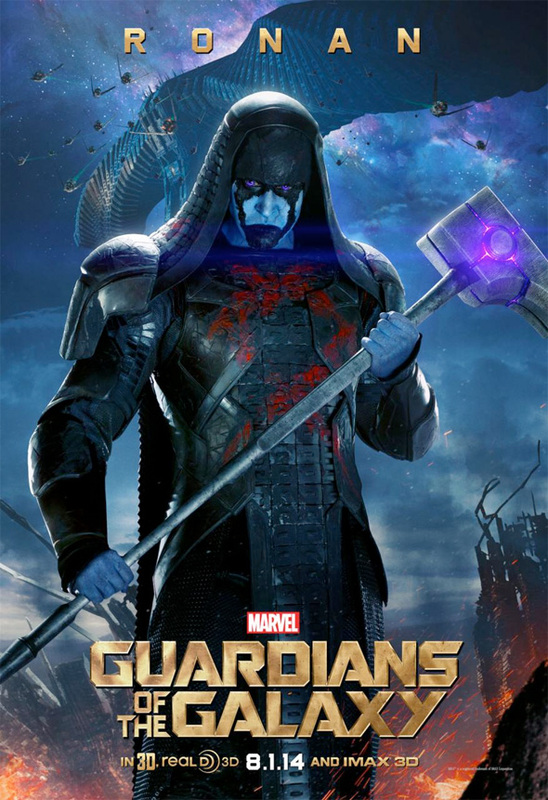 There's Lee Pace as the main villain Ronan (who is being puppeted by Thanos), Karen Gillan as Nebula (who is a descendant of Thanos) and Djimon Housou as Korath (who we've seen dealing with Star-Lord in the trailers). That should be it for character posters, unless Thanos ends up getting his own sheet. Look! The Falcon will be the new Captain America this fall. I don't mind it so much,being multiple-racial growing up with mostly white heroes have never bothered me, for I believe that the beauty of comics is that anyone can be Batman, Spider-Man, Wonder Woman and so on. I love that Marvel recognizes that this world is rapidly changing and they need to reach out to all types of fans and capture new readers as well. I will pick this up along with Thor, and add it to my Mighty Avengers, Ms.Marvel, Black Widow and my Image Comics, which are so much cooler cause of their freedom, but we know it's temporary with Captain America 3 coming out May 2016, so I will welcome the New Cap, while also look forward in Marvel and DC hopefully create new characters in their Universe that can be a fixtures for a long time as they are doing with the new Ms. Marvel, Batwoman and the Ultimate Spider-Man. It's sad that people still freak out over race, religion or sexual orientation in this day and age. Grow up, ordinary is boring. 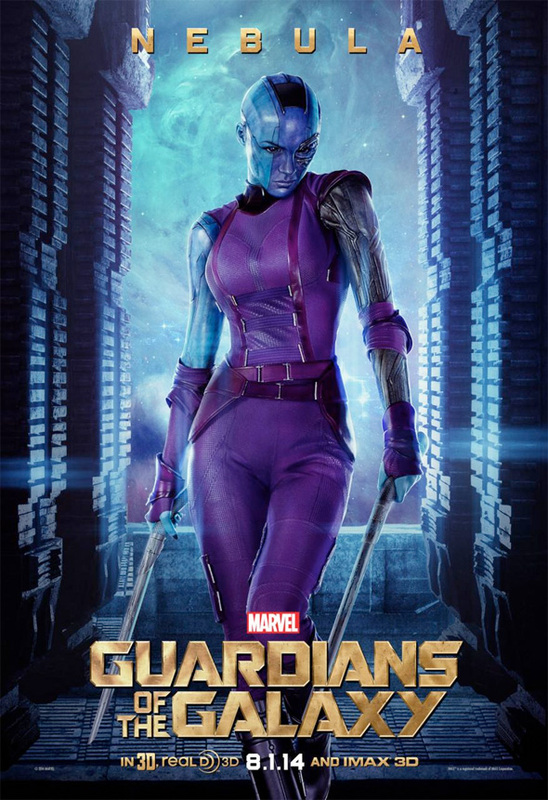 Nebula is looking like a complete badass.